Curtain Ring + Hook = "Branch"
If there's one company that specializes in "clever and useful," it's probably Quirky - and their Branch concept fits the bill. 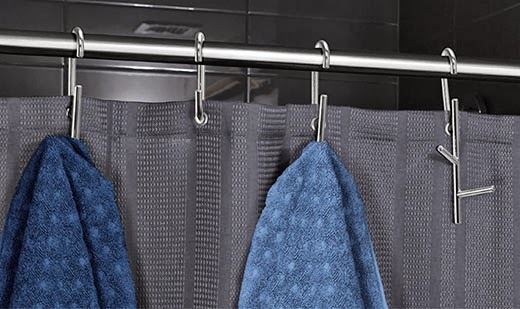 They're a successful mating between shower curtain rings and clothing hooks that make you wonder why they haven't already existed for decades. Now why didn't I think of that...? 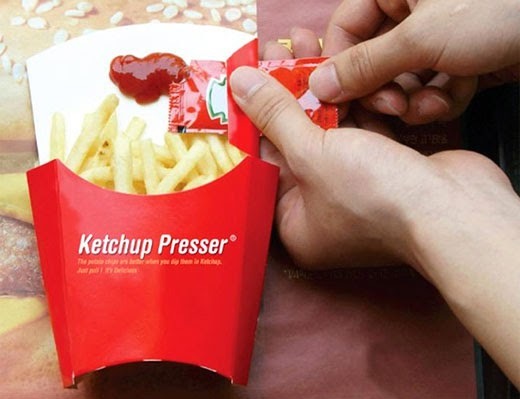 Having done a little fast-food-related design myself as a student, this concept caught my eye: the Ketchup Presser provides a clean (well, "clean") place to put your ketchup, as well as a clever way of getting it out of the pack. After tearing the pack open, you pull it through the slot to the side of the dipping area - and the ketchup is efficiently squeezed out, right in place. The concept is probably doomed by the margins of the fast food biz, where cost increases must be justified by demonstrable ROI - but still, not bad!